Prescription drug prices are rising much faster than inflation rates in the U.S. Prescription drug prices are rising much faster than inflation rates in the United States, and patients who need life-saving medications are suffering the consequences – sometimes fatally. Newer, safer products entering the market are one reason that costs are going up, but they’re not the only one. Drug companies are also inflating the price of existing, brand name drugs, according to a recent study from the University of Pittsburgh published in Health Affairs, which analyzed nearly 28,000 national drug codes —- unique numbers that identify every legally manufactured medication in the U.S. —- from 2008 to 2016. The prices of brand name injectable drugs, for example, rose by 15 percent each year during that time period, the study found. These injectables include brand name insulin for people with Type 1 (T1) diabetes. Stock said that although her current prescription is covered by Iowa Medicaid, the rising costs once forced her to ration her medication. Type 1 diabetics require insulin to control their blood sugar levels, and and without insulin they will die. Unlike many medications, insulin is like oxygen to Type 1 diabetics – they cannot live without it. Diabetic ketoacidosis (DKA) will set in within hours or days in a T1 diabetic, and the patient will go into a coma and die without insulin –- the only available treatment. Lantus, a popular brand of long-acting insulin that has been on the market for over a decade, increased in price by 49 percent in the year 2014, the study found. Meanwhile, the costs of oral brand name drugs nearly doubled in the nine years that were studied. Each year, the prices of these drugs increased at five times the rate of U.S. inflation. Generic oral drugs had the smallest price increases, with a 4.4 percent increase each year —- and yet, this was still double the rate of inflation. Costs for specialty medications, such as those for hepatitis C, rose 13 times faster than inflation, according to the study. New drugs entering the market accounted for the rising cost of generic and specialty medications, whereas brand name price hikes were primarily driven by drug companies inflating prices on existing medications, the study said. Patents on specific drugs reduce competition and therefore contribute to rising costs. Patents provide market exclusivity to new, brand name drugs, and encourage manufacturers to innovate and invest in new drug development. Other companies cannot create an alternative medication during the patent period, which allows the manufacturer of the new drug to make back the money spent on research and development. When a drug patent expires, however, a generic may not come onto the market. Drugs made from living cells, such as insulin, are expensive to manufacture as a generic and not considered identical to the brand name form. The FDA requires further scrutiny in these cases, which is costly. These rising prices are impacting patients’ health nationwide. (Sarah Stock ) Iowa grandmother Sarah Stock said the price of her live-saving insulin has risen by 300 percent in the past ten years -- from $300 a month to $900 a month. Stock said the rising costs once forced her to ration her medication. In 2017, 26-year-old Shane Patrick Boyle was out of work so he could care for his dying mother in Arkansas, and waiting for his Affordable Care Act insurance to kick in, according to The Nation and a graphic art website called The Nib. A Type 1 diabetic, Boyle couldn’t afford his life-sustaining insulin, so he launched a GoFundMe page to raise insulin money. Boyle died two days after his mother did. He was $50 short of his GoFundMe goal. Three months later, T1 diabetic Alec Raeshawn ‘Big Al’ Smith, 26, was found dead in his Minnesota apartment, after rationing his insulin because he had aged out of his parents’ insurance and couldn’t afford his own, The Nation reported. The cause of death was DKA, according to his obituary. Insulin prices continued to increase. Insulin - so common and used to treat diabetes. Tell your story to the mom of Alec Raeshawn Smith, an otherwise healthy 26 year old who died because he aged out of his mom’s insurance and couldn’t afford the insulin he needed. Some drug companies have been held accountable for the rising prices. The state of Illinois recently recovered $135 million from a settlement made with Teva Pharmaceuticals USA, Inc. following a 2005 lawsuit filed by Attorney General Lisa Madigan against 47 drug makers. The lawsuit alleged that Teva fraudulently inflated wholesale prices to receive more money in Medicaid reimbursements. According to the White House Council of Economic Advisers, prescription drugs prices fell almost 3 percent in 2018 when adjusted for general inflation, the largest decline in prescription drug prices in 46 years. Data from the first 10 days of January 2019, however, reveal a price hike in 490 drugs, including approximately two dozen Johnson & Johnson (J&J) drugs, which averaged a 6 to 7 percent price increase, a spokeswoman for Rx Savings Solutions, a prescription drug purchasing solutions company, told ABC News. J&J said that the average price rise for about two dozen drugs will be 4.2 percent this year, according to Reuters. The pharmaceutical company said rebates and discounts that were negotiated with payers -— such as insurance companies, private employers, and the government -— would improve drug access for patients since they would contribute to drops in net prices. For Stock, however, any price increase on drugs that are required simply to live are unethical. “The drug companies are holding our lives hostage so they can profit. 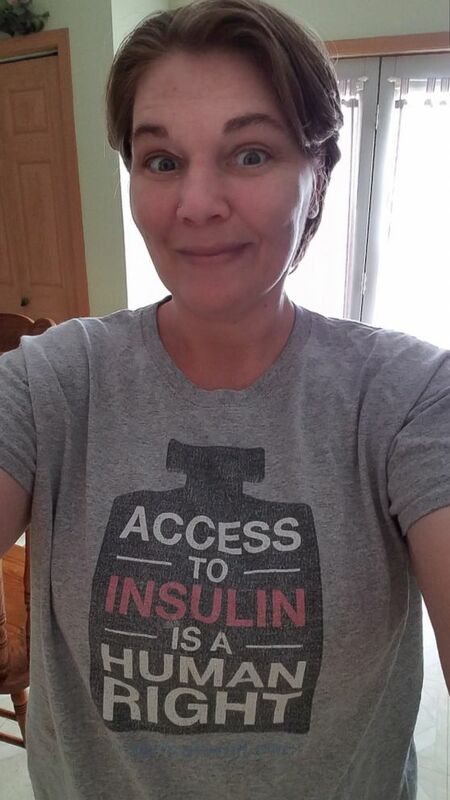 Everyone needs insulin to live, but only diabetics have to pay for it”.